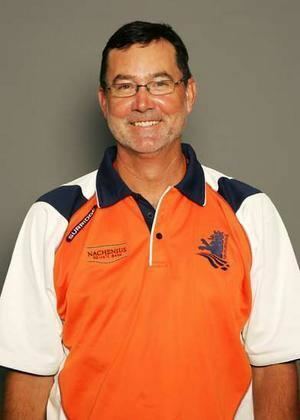 Peter Edward Cantrell (born 28 October 1962 in Gunnedah, New South Wales, Australia) is a former Dutch cricketer. He has represented Queensland in the Australian domestic circuit. He also played 33 first class matches for Queensland and once for an Australian XI. Cantrell is best remembered as a substitute fielder who took two brilliant catches during the Australia v England Test Match at the Gabba during the 1990-91 Ashes series. He played all his five One Day Internationals for The Netherlands during the 1996 World Cup. He has scored 160 runs in his five ODIs with a decent average of 32. He was coach of the Netherlands for the 2007 World Cup but stood down as head coach after the tournament.